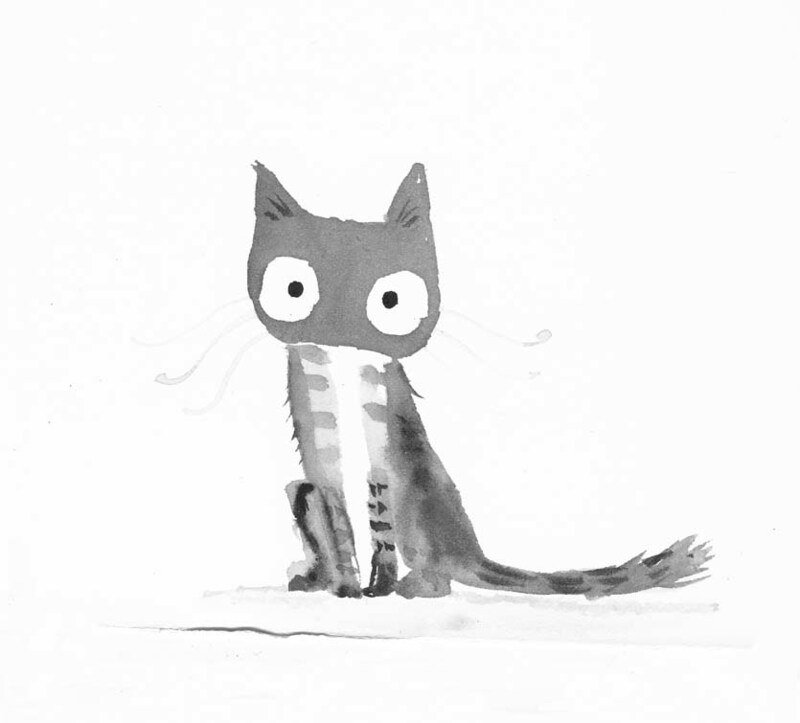 I was given a brush pen the other day and here is a little cat from my first round of experimentations. I rather like the brush pen though I haven’t really figured out how to use it properly yet. It seems to make me want to do wet-in-wet drawings though it’s probably most useful for sketching outdoors in combination with watercolour pencils. I shall have to keep experimenting.